Microsoft released Windows 10 insider preview PC build 14986 for fast ring insiders. Like every other insider builds, this one also comes with issues. Several users are reporting that their download gets stuck at 0% for several hours and eventually results in an error with the code 80240031. Microsoft is working on a fix to solve problems related to downloads stuck at 0% or giving error code 80240031 after reboot. Microsoft also posted known issues with latest PC insider build. Update: Microsoft has posted a fix for error code 80240031. This tool performs a number of actions which will get you back to a clean update state. 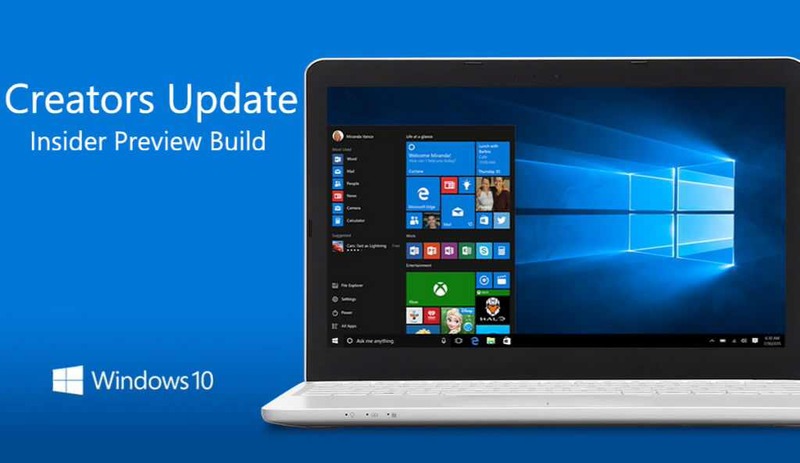 You will need an active internet connection to download this tool and to re-download build 14986 as needed. Once the tool has completed, return to the Settings panel and re-scan for updates. Build 14986 should download as expected. Using keyboard monitor hotkeys to adjust brightness won’t work as expected. Desired brightness change could be done via the Action Center or by going to Settings > System > Display. You may see a popup “Catastrophic Error” dialog when opening OneDrive folders. If you do, the workaround is to open an elevated Command Prompt or PowerShell window and enter “attrib -O <path to OneDrive failure that resulted in the error dialog>”. Team currently investigating reports that DirectAccess isn’t working for some Windows Insiders. When using Microsoft Edge with Narrator, you may hear “no item in view or silence when tabbing or using other navigation commands. You can use Alt + Tab when this happens to move focus away from and back to the Edge browser and then Narrator will read as expected. Hey Cortana, play <blah> on <AppName> doesn’t work immediately after installing the app. Wait 5 minutes for the indexer to kick in and try again. Doesn’t accurately show status when a 3P AV is on the machine.